The current conflict in Ukraine pits regions with large populations of ethnic Russians (backed by Russia) against a Ukrainian-dominated central government, while in Iraq, the ascent of ISIS is symptomatic of the deep disenchantment felt by one of Iraq’s main identity groups—the Sunni Arab population—with the post-2003 political order. In both cases, the provision of territorial autonomy on an ethnic basis (known as ethnofederalism), would seem a logical long-term solution, but it is one that continues to generate skepticism. Critics charge that a system based on ethnic autonomy risks hardening and deepening ethnic divisions, thereby fueling ethnic tensions and, ultimately, precipitating the secession of ethnic units or even the collapse of the entire state—precisely the outcome it is designed to avoid. In a recent article for International Security, I examined the track record of ethnofederal arrangements, broadly defined, across the post-1945 period to see if the skepticism of critics is justified. The good news is that, overall, these arrangements have an impressive track record of success. Of the 41 ethnofederations that have existed at some point over this period, only 10 have failed, which equates to a success rate of over 75 percent. Beyond the raw data, the shared characteristics of the failures yield valuable insights into the conditions under which failure seems more likely than success. First, none of the failures, with the partial exception of Serbia-Montenegro, was democratic at the time of its failure. Conversely, no authentically democratic ethnofederal system has failed over the post-war period. Non-democratic ethnofederations continue to survive (witness Ethiopia) but their long-term prospects are not good. Second, the internal structure of the system matters. Systems that are organized around the idea of homelands for all of society’s major ethnic groups (full ethnofederations), such as the former Soviet Union and Yugoslavia, have a terrible track record. Of the 10 post-war failures, eight were organized along these lines. Conversely, systems that allocate ethnic homeland status to one or more ethnic minority groups but that divide up the dominant ethnic group across multiple federal subunits (partial ethnofederations), as in Canada and India, have a perfect track record. Of the eight systems that have existed since 1945, none has failed. Finally, systems in which an otherwise unitary centralized state grants autonomy to a territorially concentrated ethnic group (ethnic federacies) fall somewhere between these extremes of success and failure. Two out of 21 systems (South Sudan and Crimea) have failed over the post-1945 period. Third, numbers matter. All else being equal, the greater the number of federal subunits, the better the survival prospects of the system. Among failures, the average number of subunits was just over five; the average among successful systems is about 22. A final important point that emerges from the study is that virtually all ethnofederations were implemented in the absence of any viable alternatives. The overwhelming majority (31 out of 41) were put in place after centralized, unitary institutions had palpably failed; in most of these cases, the system was implemented in the aftermath of ethnic conflict and as the only minimally acceptable compromise that could plausibly terminate the conflict while preserving the territorial integrity of the state. In such cases, the only realistic alternative is more conflict. These findings have real-world implications. In the case of Ukraine, for example, a resolution could come on the battlefield if Russia decides to forcibly annex the separatist regions, or the conflict could drag on to the point of stalemate, leaving the country’s separatist regions in a status similar to breakaway regions in Georgia (Abkhazia, South Ossetia), Moldova (Transnistria), and Azerbaijan (Nagorno-Karabakh). These are the realistic alternatives to a negotiated solution; in turn, a negotiated solution will inevitably involve some level of ethnic autonomy for the regions in question. Ukraine’s best chance of survival is to implement a system-wide federation that marries one or two ethnic Russian regions with multiple Ukrainian regions, the more the better. In the case of Iraq, the problem of ISIS is rooted in the deeper problem of the country’s alienated Sunni Arab community, and at the heart of this are problems with the design of Iraq’s federal system. Iraq’s long-term survival hinges on designing a federal system that protects Sunni Arab regions against a Shia-dominated central government and maintains current levels of Kurdish autonomy. 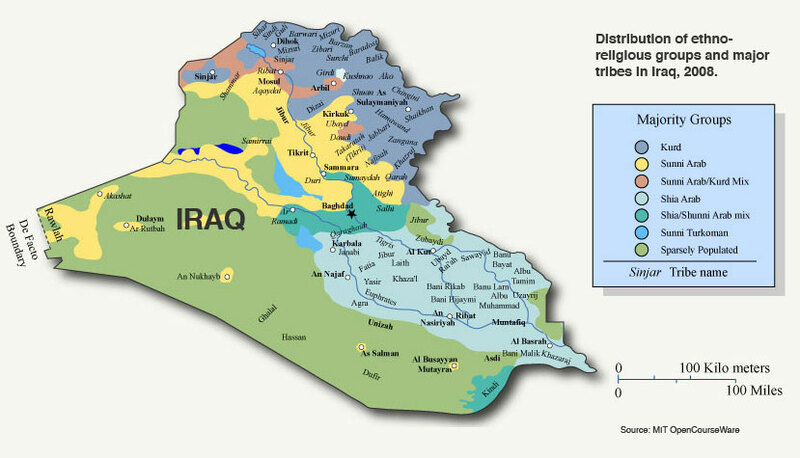 Based on the evidence, a three-unit (Sunni, Shia, and Kurdish) fully ethnofederal system would stand little chance of survival, especially given the fragile state of Iraqi democracy. Better to unite a single Kurdish region (which is written in stone) with one or two Sunni regions, and multiple Shia regions in the south. In neither case is ethnofederalism a panacea. It is a difficult but workable compromise solution to the problem of ethnic conflict in the absence of viable alternatives. In other words, to paraphrase Winston Churchill, ethnofederalism is the worst form of institutional arrangement, except for all the others that have been tried. Liam Anderson is Professor of Political Science at Wright State University.